Light snow, cold temperatures in today’s forecast – Welcome to Wyandotte Daily! 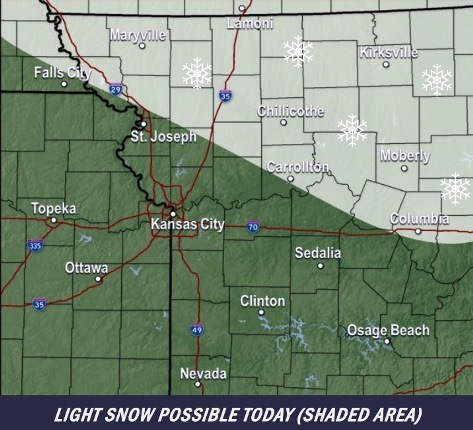 Light snow with gusty northwest winds may lead to reduced visibilities and hazardous travel today, according to the National Weather Service. 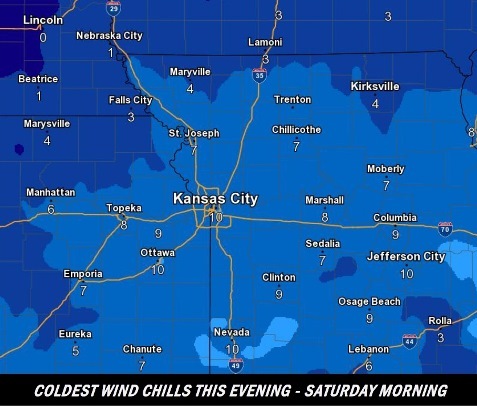 Wind chills will fall into the single digits by late afternoon and evening, according to the weather service. Falling temperatures could result in patches of black ice this morning, and again this evening and night, the weather service said. Refreezing on roads may lead to scattered slick spots. Much colder conditions are expected by afternoon school pickup time and the evening commute, and residents are advised to dress warmly, according to the weather service. 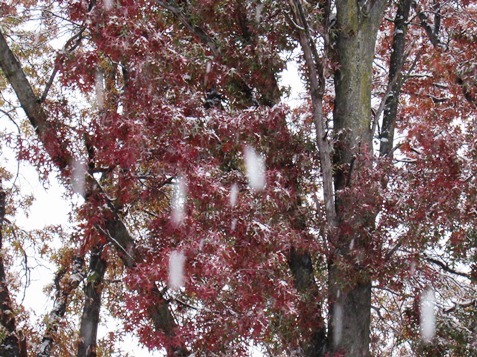 Today, there will be patchy blowing snow between 2 p.m. and 4 p.m., the weather service said. After a cloudy start, skies will become sunny, with a high near 34. It was 33 degrees at 9 a.m. The west northwest wind will be 8 to 13 mph, increasing to 16 to 21 mph in the afternoon. Winds may gust as high as 29 mph. Tonight, it will be clear with a low of 16, according to the weather service. A north northwest wind of 9 to 14 mph will become light and variable. Winds may gust as high as 20. Saturday, it will be sunny with a high near 36 and a south wind of 5 to 13 mph, gusting as high as 20 mph, the weather service said. Saturday night, it will be partly cloudy, with a low of 29 and a south southwest wind of 6 to 9 mph, according to the weather service. On Sunday, Veterans Day, it will be partly sunny with a high near 45, the weather service said. A southwest wind of 6 mph will become north northwest in the afternoon. Sunday night, it will be mostly cloudy, with a low of 28, according to the weather service. Monday, it will be partly sunny, with a high near 35, the weather service said. Monday night, the low will be around 20 with partly cloudy skies, according to the weather service. Tuesday, it will be sunny with a high near 37, the weather service said. Tuesday night, it will be mostly clear, with a low of 25, according to the weather service. Wednesday, it will be sunny with a high near 48, the weather service said. Wednesday night, it will be mostly clear with a low of 34, according to the weather service. Thursday, it will be sunny with a high near 54, the weather service said. 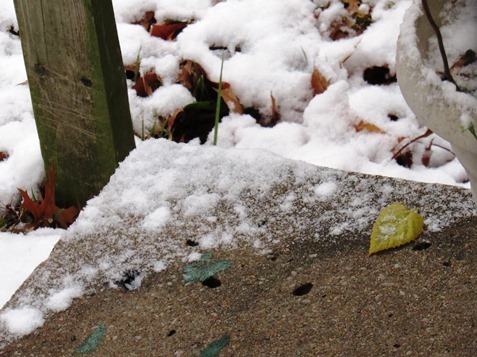 For the most part, snow did not stick to streets and sidewalks, but some porch edges could be icy. 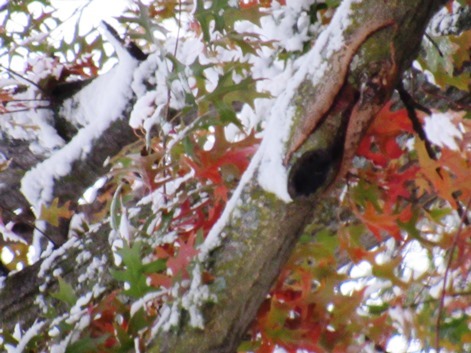 Snow can be seen on colorful fall foliage in Kansas City, Kansas.